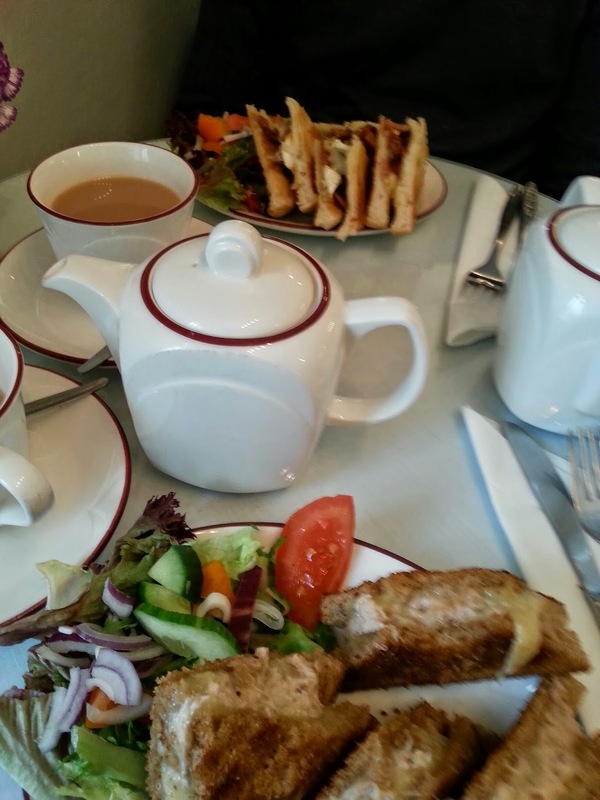 Mr Cream Tea Crazy and I recently visited The Countess Tea Room in Wortley village just north of Sheffield. This one is definitely worth a detour or even a day trip next time you're in South Yorkshire or environs. It is a quaint little tea room, with only about seven tables, and a couple of waitresses. You need to remember to take cash though, as they don't accept cards, which we discovered a little too late! However, the food more than made up for the minor inconvenience of driving to the local garage to get cash. We were off to a good start when the tea arrived. Although the waitress momentarily forgot that I'd ordered Earl Grey, and brought an English Breakfast instead, this was soon rectified, and order restored. The ceramic teapots and extra hot water were earning points left, right and centre. So far, so good. And then the toasties arrived. These were quite simply, the best toasties we had ever had! I had tuna and cheese, and Mr CTC had his favourite, bacon, brie and cranberry, and they were absolutely amazing! They were perfectly toasted - none of this Breville nonsense, I'm sure - they were golden, and crispy and just yummy! With our expectations buoyed by the toastie triumph, we were very much looking forward to the cream tea element of our meal. However, we were a little disappointed. Although marks were scored for little pots of jam and cream and not plastic sealed sachets, the cream was whipped, not clotted, which is a particular little bug-bear of ours (see previous post on What makes a good cream tea?). The butter was in one of those horrible foil packets. 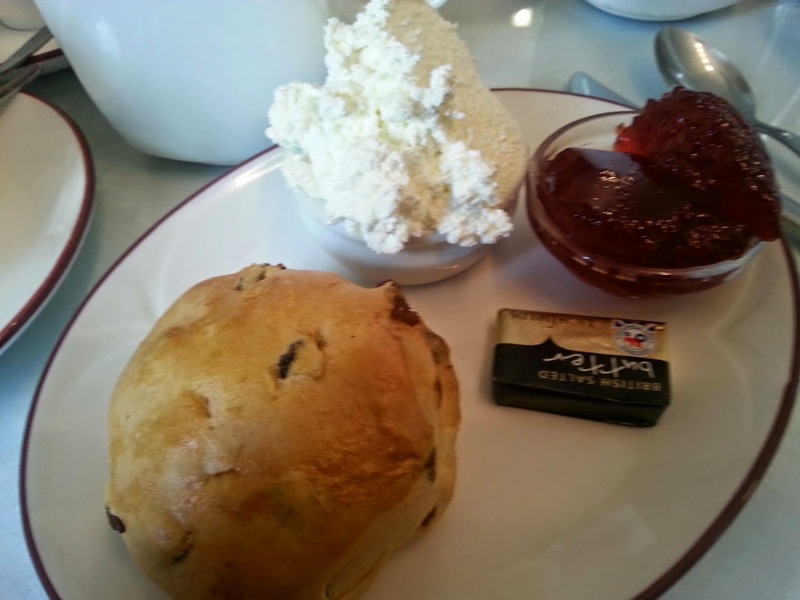 And, there was only one scone, but thankfully, it was fruited, on the large side, and warm. Points redeemed. Also, the scone itself was delicious, so that helped immensely. Overall, the Countess Tea Room, which is a charming little teashop, decorated with shabby chic bric-a-brac, scored a respectable 6/10, bumped up to a 7/10 because of the to-die-for toasties. This is quite a high score for the CTC team, and we will definitely be making a return visit in the near future! 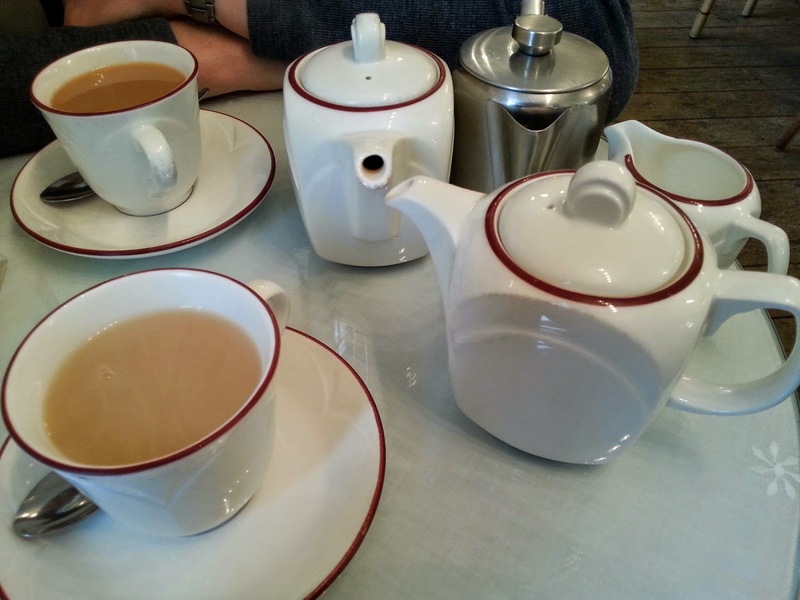 My criteria for cream teas are similar, BUT cups have to be china not stoneware. And I'm looking for a loose leaf tea option, or a very good quality teabag like Teapigs, at a push.